The readers of this blog are simply THE BEST! Roberta, out of West Tisbury, MA, sent this great photo and article from the MV Times to me. Roberta – we all thank you!!! 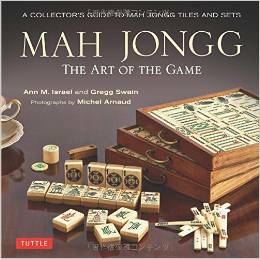 Keep those Mah Jongg sightings coming!!! Mah Jong returns to the water after three-year restoration. A restored 52-foot yawl, once featured in National Geographic and designed by Sparkman & Stephens and built by Cheoy Lee Shipyard in Hong Kong, is back in the water after a three-year restoration by Gannon & Benjamin Marine Railway in Vineyard Haven. Mr. Ilderton, a South Carolina contractor, first fell in love with wooden sailboats 25 years ago. One of his employees at the time was a wooden boat enthusiast. “That’s where I got my introduction to sailing and wooden boat ethos,” he said. Fast-forward to three years ago, when he found the Mah Jong for sale. “I finally had the time and the money to look at doing something,” Mr. Ilderton said. He was actually in England with Ross Gannon of Gannon & Benjamin, and passed on the purchase of the sailboat they went to see. Mr. Gannon told him about the Mah Jong in Tortola, one of the British Virgin Islands. They went and looked at it, but it would take six months for Mr. Ilderton to pull the trigger. Once he bought the boat, it was shipped to Newport, R.I., and then sailed over to Vineyard Haven. Since then, he’s been saying yes to all of the necessary repairs, including the harvest of live oak in Georgia and scouring eBay and marine shops for brass fittings. The boat’s ribs, floorboards, and planks have been completely replaced, Mr. Ilderton said. The boat’s hull, ballast, and engine are intact. “We basically rebuilt the boat,” he said. Built in 1957, the three men who commissioned Mah Jong got a deal on the plans for the yawl because they were still available from the Baccarat, also built by Cheoy Lee. A Southeast Asia sail of the Mah Jong was featured in National Geographic in 1958. “I have two copies of the magazine,” Mr. Ilderton said. Now that the boat is fully restored, Myles Thurlow of Myles Thurlow Rigging is getting the masts rigged, and Ben Sperry of Sperry Sails is helping with the sails. “It’s a real local effort,” Mr. Ilderton said. 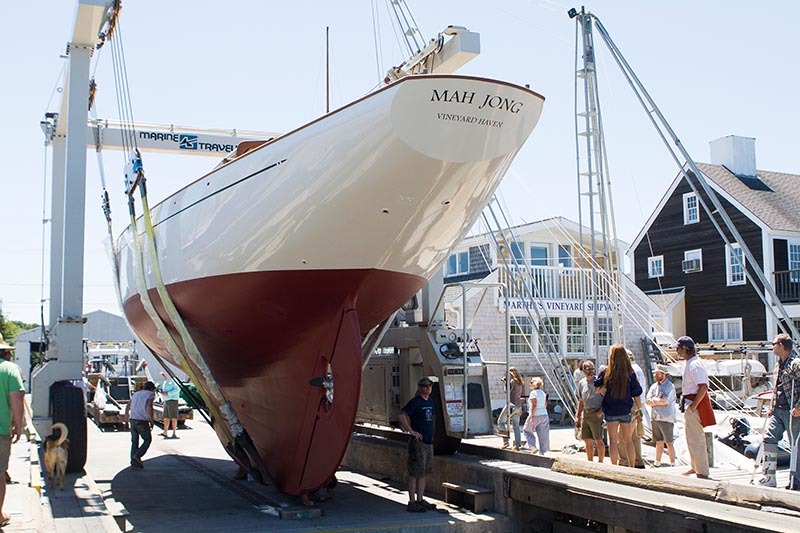 Immediate plans for the 1957 boat include an appearance at the WoodenBoat Magazine annual Wooden Boat Show in Mystic, Conn. Mah Jong will also compete in the Vineyard Cup, as well as other regattas, Mr. Ilderton said. He also plans to charter the sailboat on the Vineyard, in South Carolina, and in the Caribbean, he said. The boat’s captain is Alex Goldhill, a former employee at Gannon & Benjamin. 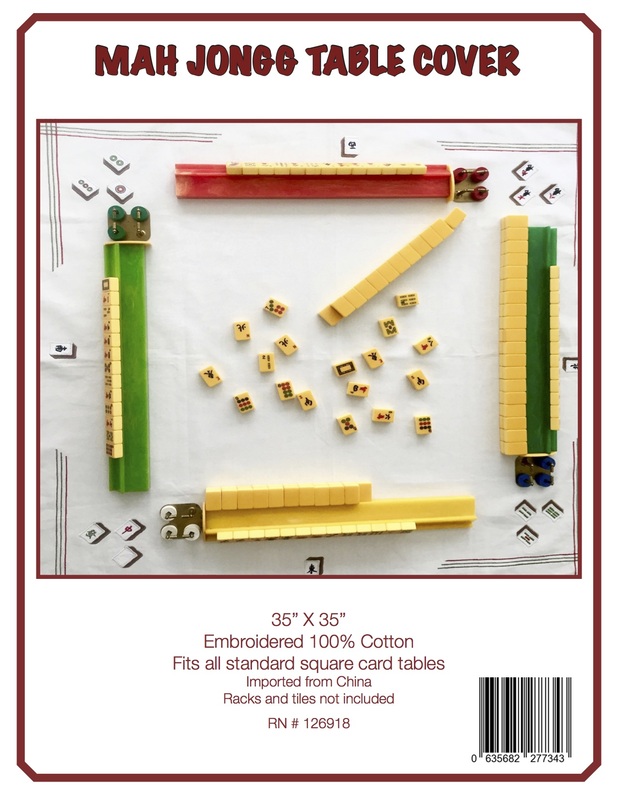 Though Mah Jong translates to gray sparrow, it’s also a Chinese gambling game. This entry was posted in Mah Jongg and Me and tagged Cheoy Lee Shipyard, Gannon & Benjamin Marine Railway, Hong Kong, MA, mah jong, mah jongg, mahjong, Martha's Vineyard, MV Times, National Geographic, Sparkman & Stephens, Vineyard Haven, West Tisbury on June 24, 2017 by Mah Jongg and Me.